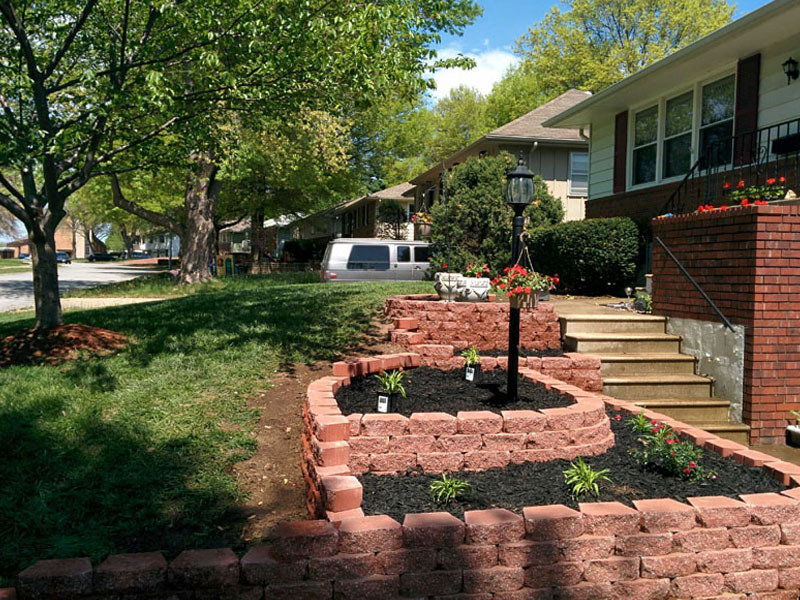 Landscaping project in Independence, MO using red Pavestone Wall Blocks. This new landscaping really helped with the homes curb appeal. 2015 Greg's Lawn Care | All rights reserved.